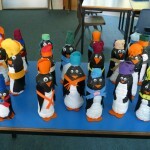 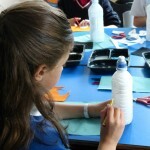 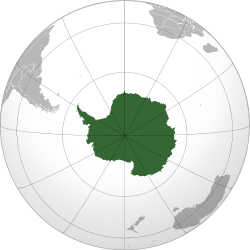 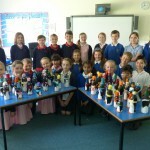 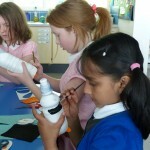 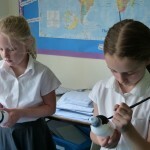 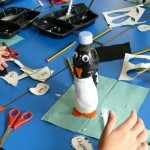 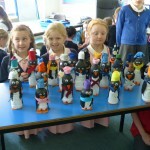 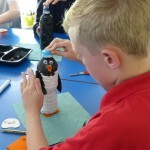 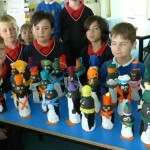 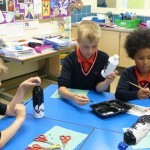 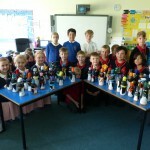 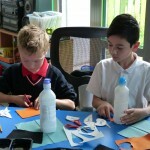 Year 4 studied Antarctica and on the 1st collaboration day, half our children went to St Michael’s school to make penguins out of bottles, whilst the other half stayed at our school and hosted Winton Primary to also make penguins. 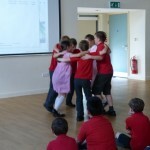 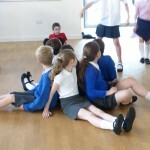 On the 2nd ‘collaboration’ day we performed to each other something that each school had prepared. 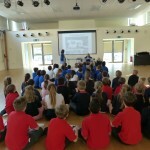 This time, the second half of Winton Primary children came to us, and we sent the other half of our year group to St Michael’s School. 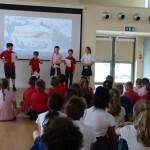 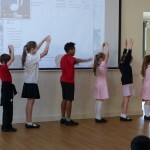 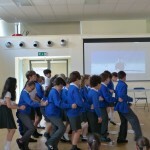 St Michael’s school performed an Antarctica News sketch and then showed us their penguin dance. 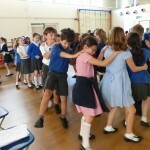 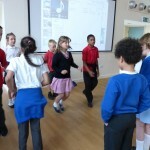 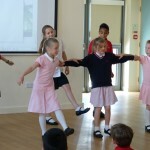 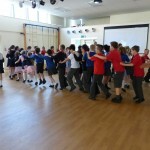 Our school shared Arctic poems then performed and taught St Michael’s our penguin dances.